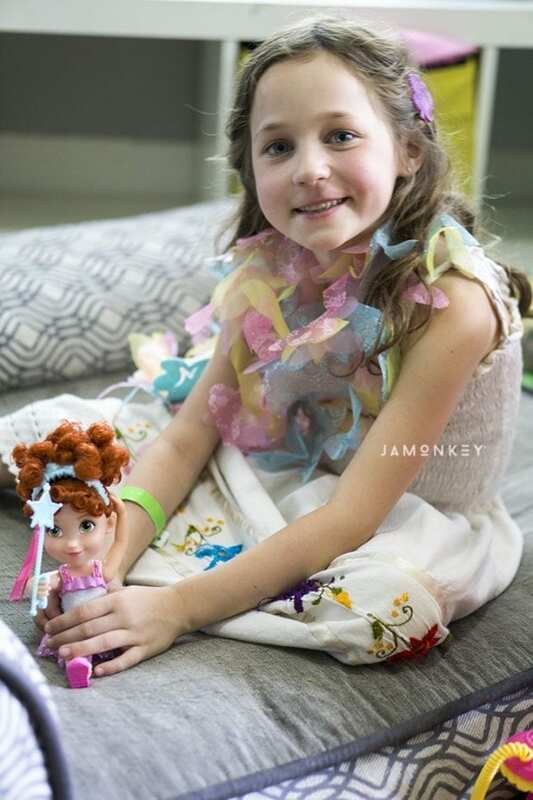 Fancy Nancy comes to playtime with new toys from the Disney Junior show. Bring home the fun and have a fancy playtime with these great Fancy Nancy toys. Fancy Nancy, the beloved books have come to life in the Disney Junior show Fancy Nancy. Since the show appeared, we have been watching it, and my daughter is in love! She dances around the house saying fancy words and making all of her other toys fancier. 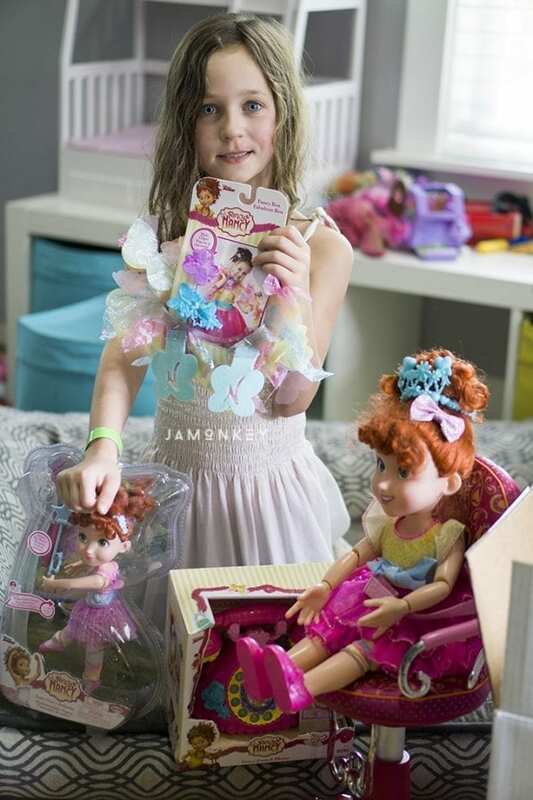 We were sent some Fancy Nancy toys to check out from JAKKS Pacific. Since returning from the Fancy Nancy event, Squish has been so excited about watching the show every chance she can. She dances around the house, and I hear her saying words that Fancy Nancy teaches them in the show and it makes me giggle. Her favorite toy is the Fancy Nancy My Friend Doll because she is an 18-inch doll that she has most of her adventures. They have tea parties, have fashion shows, and dance together. 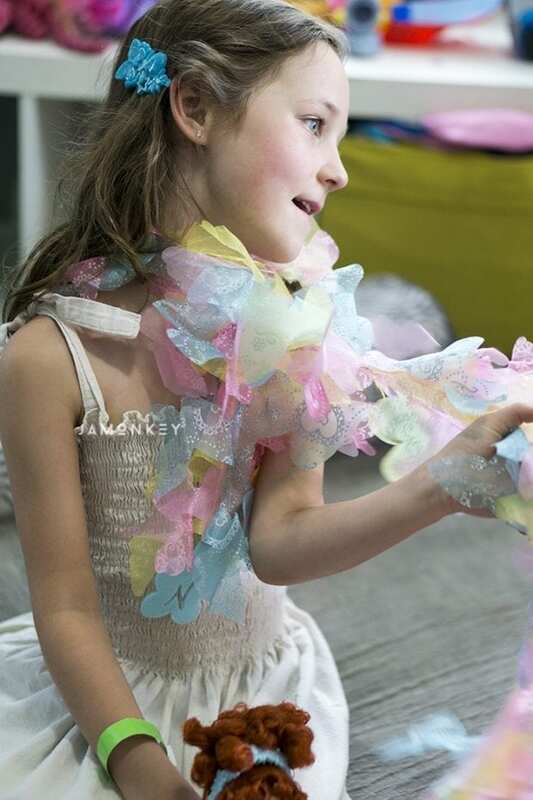 Fashion shows happen a lot in a house full of girls and the Fancy Nancy dress-up sets are perfect for that. You can grab the Colorful Boa that comes with hair clips to add a little bit of flair to your fashion shows. Squish's favorite Fancy Nancy toy is the Fancy French Telephone . It made me laugh because it has a working rotary dial and kids will never know what it was like to use one of those phones. I didn't use one when I was a kid, but I had to show her how it worked. You can also press the middle to hear 9+ Fancy Nancy sayings. The Fancy Nancy Ballerina Doll is cute because she flicks her legs and can go into a split. We plan on getting a few more of the Fancy Nancy outfits; I'm pretty sure she wants to be fancy Nancy for Halloween. We also want to get the Fancy Nancy Fantastique Tea Set ! 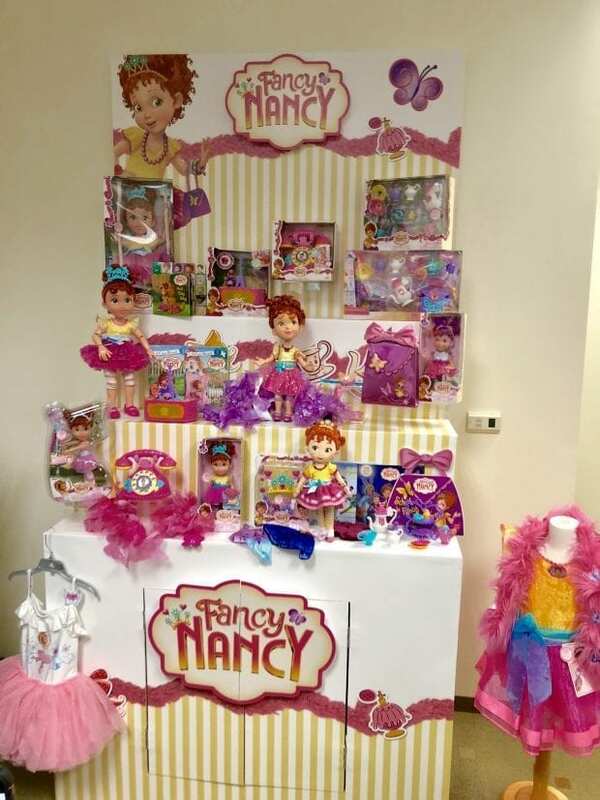 These are just some of the awesome Fancy Nancy toys, take a look at all of the great JAKKS Pacific ones below! 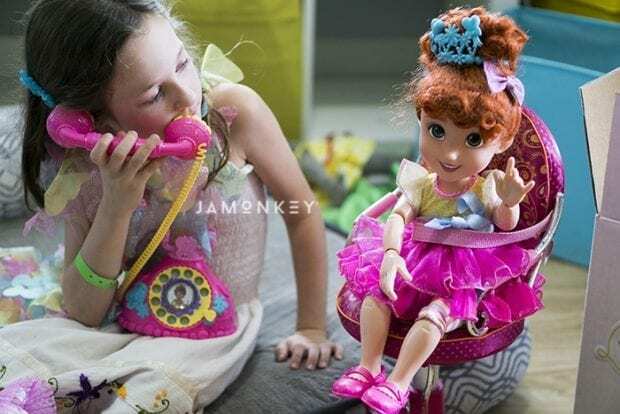 Make sure to check out the JAKKS Pacific Ultimate Fancy Nancy Tea Party Pinterest Board!